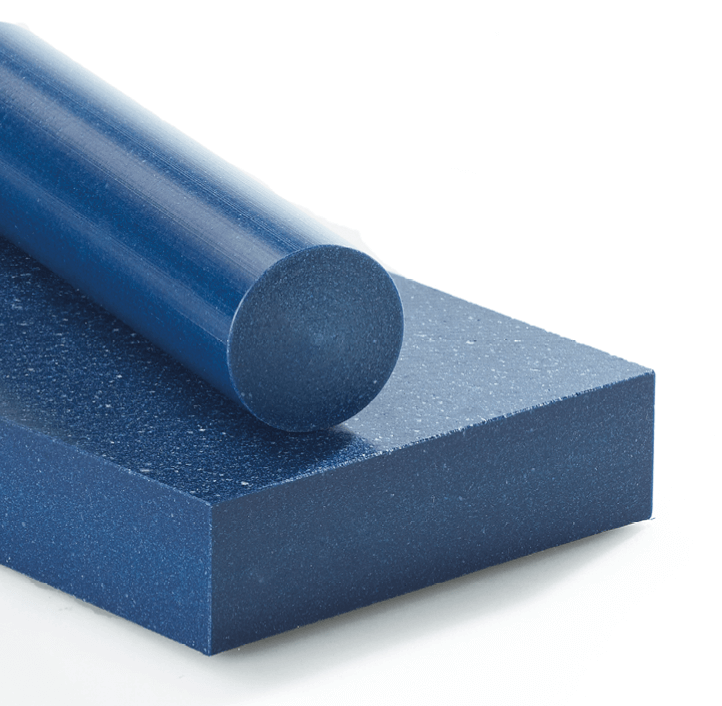 In the group of sliding-modified materials we have included GLIDE-GEHR POM-10PE-X®, a new material in which the tribological behaviour (friction) has been optimized by incorporating solid lubricants. Thanks to these solid lubricants, we achieve a high wear resistance, a low coefficient of friction and thus a good dry running capability. In addition to the standard features, these plastic materials also have excellent emergency running properties, good damping properties as well as optimized chemical resistance and oxidative stability. Their abrasion behaviour is also positively influenced by the firmly integrated PTFE additive, which is not harmful to health. When machining the previously annealed semi-finished products, thermal overload (plastics are generally poor heat conductors) must be avoided, as otherwise an uneven or scaly surface could form. Due to the incorporated solid lubricant particles, the production of very small surface roughness qualities is only possible to a limited extent. In joining technology, not only hot plate welding but also adhesive bonding with pressure-sensitive adhesives has proven successful, as the high chemical stability includes resistance to most solvent adhesives. The activation of the surfaces (corona treatment, primer application or etching) enhances the achievable strength. The material is used, for example, in sliding bearings, valve and tap parts. Currently we have rods with a diameter of 20 – 50 mm as well as sheets with a thickness of 10, 15 and 20 mm in the colour medium blue available in stock. In the future, we will bring together all semi-finished products, the tribological behaviour (friction) of which has been optimized by incorporating solid lubricants, in the GLIDE-GEHR® product group. In order to emphasise this property, we will then also label these products with the product designation GLIDE-GEHR®. We will continue to expand this product family. Do you have any questions? – Please do not hesitate to contact us!